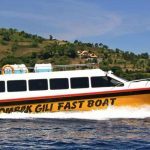 Adventure Travel- Its beauty is much guided by Lombok Tour which makes Lombok as a tourist destination is very popular both foreign and foreign tourists. The favorite place of tourists to come to Lombok, Gili which became one of the coastal icons of Lombok. Lombok has a beautiful and charming Gili not only from its scenery but also the beauty of the underwater world. The first Gili that is often visited by tourists is Gili Trawangan which obviously will not to foreign tourist attractions Gili trawangan because that is where the destination is always favored by the tourists. Apart from the marine tourism presented by the island of Lombok is an Adventure Travel that is climbing mount Rinjani. Mount Rinjani Lombok is located in the northern part of the island of Lombok. Is the highest mountain in the province of West Nusa Tenggara with an altitude of 3726 meters above sea level. Mount Rinjani is also the 3rd highest mountain in Indonesia. There is one more natural tourist destination in Lombok is favored by many tourists, namely Mount Rinjani Lombok. Enchantment Lombok Island is famous for marine tourism destinations such as Gili Trawangan, Senggigi Beach. And Lombok also exist in the allure of Mount Rinjani is challenging and presents beautiful scenery from high altitude. Adventure Travel- Not easy to conquer Mount Rinjani because you have to Hiking Rinjani more than 4 kilometers, not to mention through obstacles while climbing. If you want to travel to Mount Rinjani, do not just try. You must have enough courage, adequate physical condition, and a little basic knowledge of Mount Rinjani Trek. According to the local story that developed, Mount Rinjani is a palace that became the queen’s dwelling called Dewi Anjani. Dewi Anjani is the daughter of a king named Datu Tuan. And the consort of Dewi Mas who supposedly ruled in a small kingdom on the island of Lombok. 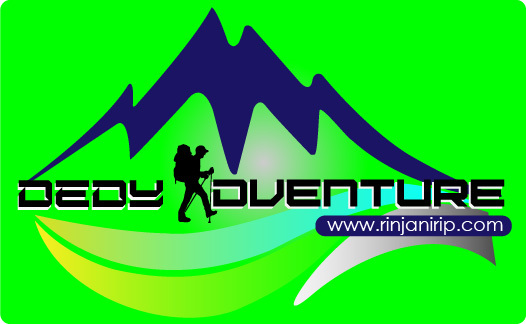 We are a Rinjanitrip.com with Ded’y Adventure Travel has been engaged to rinjani mountain climbing for years with a wealth of experience. Guided by our reliable and professional guide guarantees safety as you adventure towards Mount Rinjani. If you are planning a trip to climb Mount Rinjani then we provide some mountain climbing Rinjani Package that you can choose according to your wishes. So we are ready to serve you with pleasure.